This is a glorious mix of home-grown leaves from Dr. Adrian Izzard's innovative organic farm in Cambridgeshire. 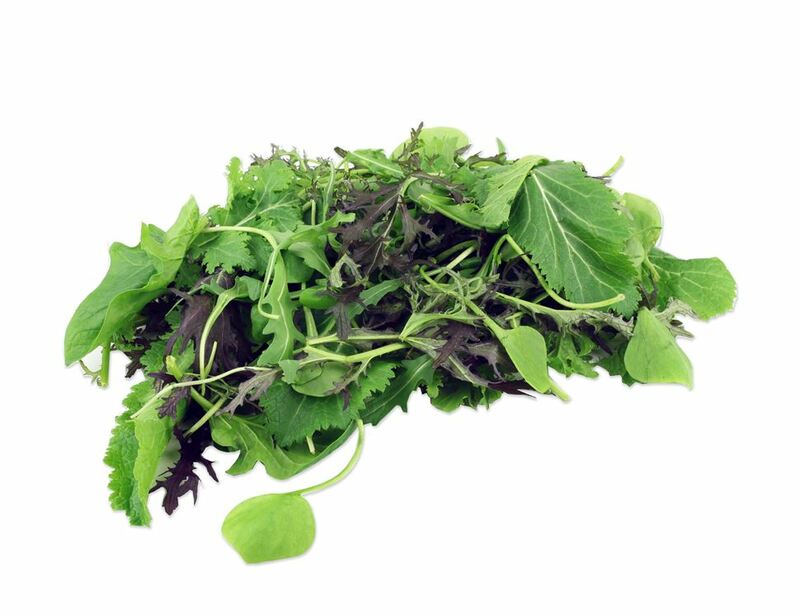 The Oriental mix includes at least five (and up to nine) of the following leaves:mizuna, red mustard, green in snow, red frills, claytonia, rocket, pak choi, spinach, coriander, mustard pizzo, raddichio, land cress, water cress, Greek cress, and komatsuna. That's quite a selection - and they taste fantastic. Salad: boring? Not with these leaves! Our advice is to dress these leafy beauties simply and have them in a salad: a splash of olive oil, a spritz of lemon juice, a bit of lemon zest, sea salt and pepper. Add a bit of diced mango and toasted nuts. You can grate in some courgettes or beetroot. The leaves are also lovely roughly chopped and folded through a curry or lentil daal right at the end. Enjoy! Wild Country Organics is a modern organic family farm run by Dr. Adrian Izzard (the 'Dr.' is not a typo – he has a PhD in biological science!) in Abington, Cambridgeshire. He's been organic for more than 20 years and over the last ten years he has pioneered the growing techniques to produce a wide range of organic vegetables in glasshouses without using artificial heating. Izzard's production techniques minimize his carbon footprint making his crops the greenest of green. Protected cropping is usually associated with an adverse environmental impact, but his methods rely on bio-control of pests and disease, and minimal use of fossil fuel resources. Izzard would rather risk losing a crop rather than lowering his standards.